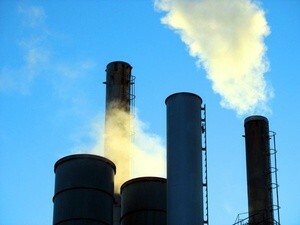 ST. PETERSBURG – For the first time in its history, a Russian company, Gapromneft, has passed foreign companies quotas on emissions of harmful substances and greenhouses gasses into the atmosphere, selling at the beginning of January a quota on 290,000 tons of greenhouse gasses to Japan’s Mitsubishi and Nippon oil. The deal represents the first of what could be many to come as Russia looks to dump the quotas afforded to it under the Kyoto Protocol. As a result of industrial decay in the 1990s after the fall of the Soviet Union, Russian authorities have touted the fact that they fell well under 1990 levels of emissions, as proscribed by the Kyoto Protocol, and have used this as a bargaining chip within the United Nations climate change negotiations process. But other nations have warned that Russia’s emissions have been on a steady march upward as Russian industry has begun to recover, and that since 1998, Russia has become the world’s third largest annual emitter of greenhouse gasses. Environmentalists warned at the Copenhagen UN climate negotiations of 2009, and again last December at UN negotiations in Cancun not to give Russia a free pass to lower it’s emissions cutting pledges on the basis of its compliance with Kyoto. The Gaspromneft quotas have been passed from Russia to the Japanese firms under the so-called Project of Cooperative Implementation (PSO in its Russian abbreviation). As a result of implementing the PS), greenhouse gas emissions will be reduced, and the units of reduced emissions received by the program’s participants can be cashed in on the open market. The cost of the emissions whose quotas were sold to the Japanese companies are estimated at €3.3 million. The mechanism proscribed in the Kyoto Protocol, ratified by Russia in 2004, presupposes that Russian companies will receive foreign investments toward energy efficient technology. According to Article 6 of the protocol, companies can sell greenhouse gas emissions abroad and invest the money received in energy savings. The method of transferring the quotas as established by the Russian government in July, involves the formulation of a deal via a middleman, a function that will be served by Russia’s state Sberbank, which in 2009 was named by the Russian government as the official operator for the sale of rights to greenhouse gasses in the country. The bank selects projects on a competitive basis, after which it passes them to the Ministry of Economic Development. Sberbank also conducts monitoring of the projects and follows their implementation. In February of 2010, the Ministry of Justice gave the go ahead to the rules governing the selection of applications to the PSO program in the sphere of trading quotas on emissions that were developed by the Ministry of Economic Development. Also in February of 2010, a number of powerful Russian companies including Tyumen Oil Company-British Petroleum and the Magnitogorsk Metallurgical Combine, submitted applications to sell quotas in accord with the Kyoto Protocol. The winners of the tender are not yet known. Boris Vishnevsky wrote this report and Charles Digges contributed reporting and translated.